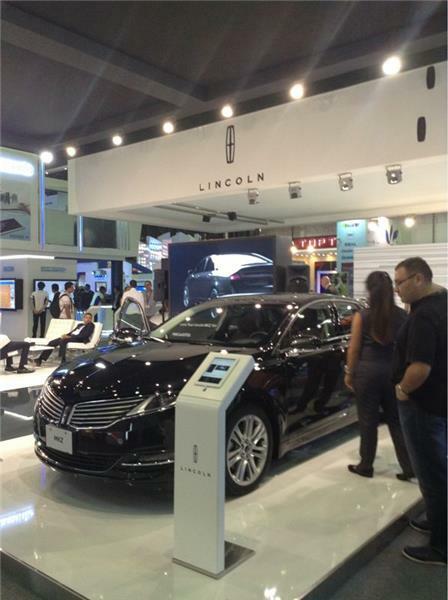 Thank you for watching our live coverage of GITEX 2013. We hope you enjoyed it. Feel free to leave comments until the event closes tonight! A team from Al-Najah National University in Palestine has won first place in the GITEX Technology Week Student Lab competition today, distinguishing themselves as some of the region’s brightest young ICT talents. Mu’ath Lahlabat, Hussam Malhis and Ahmed Dewikat secured the top spot for their Android-based home automation application, and will receive a cheque for AED 30,000 to help translate their idea to reality. In particular, the application is designed to give physically disabled people the ability to serve themselves with a single click. Using the mobile app, users can automate actions such as opening the garage door or turning on the lights, and receive data to help monitor and regulate home energy use. Ali Payani from the UAE’s University of Wollongong earned second place, receiving AED 20,000 for an automated phishing detector. Hussam Mohsineh from the UAE’s Khalifa University took third place, and will receive AED 10,000 for a mobile app focused on connect and support users interested in undertaking voluntary work. All prize funds were provided by GITEX Technology Week organisers Dubai World Trade Centre. Sponsored by the Ministry of Presidential Affairs (MoPA) and held in association with Google as a part of its commitment to supporting education initiatives, the Student Lab aims to recognise and promote the brightest and most innovative ICT students from across the Middle East, Africa and South Asian region. Judges narrowed down hundreds of entries to a shortlist of ten, which visitors to GITEX Technology Week could experience and interact with throughout the show. 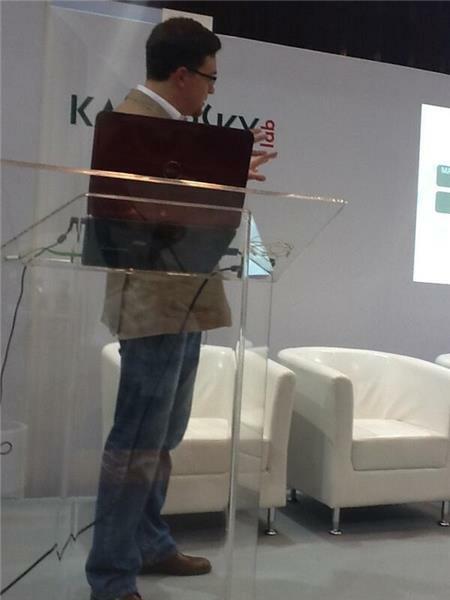 A final decision was based on 90% input from the judges, and 10% from GITEX Technology Week visitors. The judging panel comprised Ahmed Al Hassani, Head of Networks and Systems Unit, Ministry of Presidential Affairs; Abdel Wahed Bendaoua, Head of Emerging Markets – EMEA, Google and Majid Farouck Hanna, General Manager, the UAE Society of Engineers. Their decision was based on an entry’s innovation and design, real-life impact and usability, as well as the solutions’ presentational quality and technical details. Great stand with a happy company at the du stall. Dubai Chamber of Commerce and Industry, which released a study on the sidelines of Gitex Technology Week, said that the prospects for the sector are likely to improve as the regional economies forecast a reasonable growth ratio as prevailing trends of converging technologies, growing population and incomes underpin the growth-dynamic for the foreseeable future. Bahrain will play host to the inaugural iTECH Gulf Forum and Exhibition on April 9-10, 2014 which, say the organisers, will enhance the GCC’s growing credentials as an IT and ICT hub. 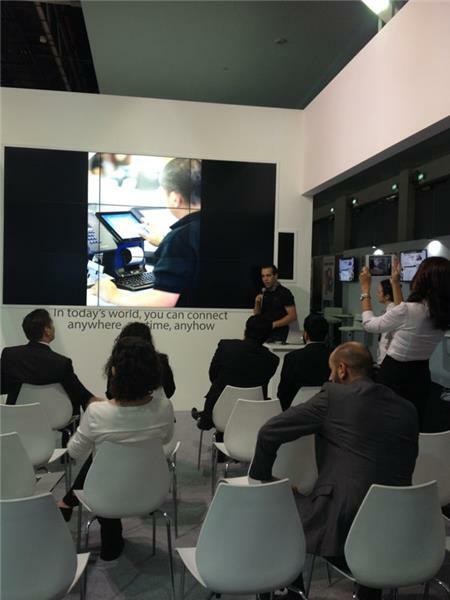 Hilal Conferences and Exhibitions (HCE) outlined their aims for this annual showcase at Gitex 2013 in Dubai to a select audience of potential supporters, including Sony and Microsft. “The show will add to the region’s growing knowledge interchange in ICT and IT, leading thought and technologies,” said Jubran Abdulrahaman, HCE’s managing director. Aymeric from the Dubai office of DAXIUM showcases CATALOG-AIR to create automatically e-catalogs to feature products and drive direct sales from mobile devices. See on French Pavilion in Hall 4. The Roads and Transport Authority (RTA) today signed a Memorandum of Understanding (MoU) with Microsoft Gulf FZ LLC at Gitex 2013 to strengthen mutual relations and boost information technology application towards delivering and achieving excellence in customer service. Signed by Abdullah Al Madani, CEO of RTA Corporate Technical Support Services, and Samer Abu Latif, Regional General Manager of Microsoft Gulf, the MoU will help RTA to forge effective partnerships and deliver enhanced services. Nuance Communications Inc. today unveiled the next generation of its voice biometrics platform in the Middle East. The platform aims to transform the authentication experience for customer service and addresses increasing consumer dissatisfaction with PINs, passwords, and security questions. The new platform enables more secure, effortless authentication in customer service environments through natural voice patterns, and delivers market-leading accuracy, superior detection of fraudsters, and simplified deployment and management of voice biometrics for use in consumer and enterprise settings. The 33rd edition of Gitex Technology Week is on course to become one of the most internationally diverse and influential yet. International exhibitors are up 26% compared to last year, and a total of 61 countries are present, including new countries like Belarus, Brazil, Finland, Kenya, Lithuania, Serbia, Slovenia, Tunisia and Ukraine. This year’s Official Country Partner is Serbia, and the union has already markedly boosted ICT trade links with the UAE. Delegations of senior officials were also present from countries including Bahrain, Egypt, India, Jordan, Morocco, Nigeria, Saudi Arabia, Tatarstan, Tunisia and United Kingdom. Savitha Bhaskar, General Manager at Condo Protego, on how her company supports businesses with data storage and protection challenges. 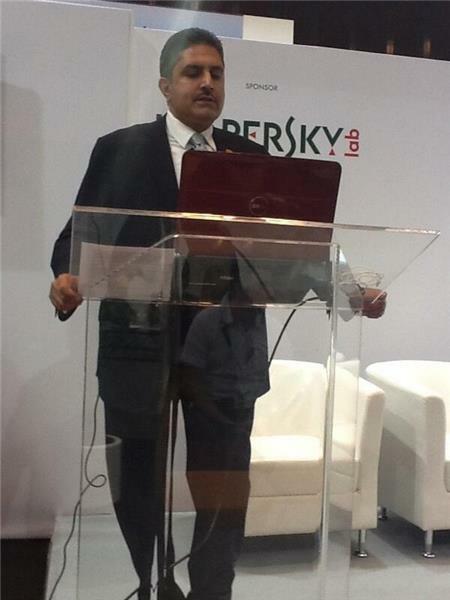 With a focus towards delivering the new RoI, Gitex 2013 has put a lot of emphasis towards big data adoption in the region. We all know that big data has great potential, especially for the enterprise market and has been dominating the conversation in recent years. But while the technology to harness it has already come of age, enterprises in different segments are still only scratching its surface and unsure of how to maximize its demonstrable value. 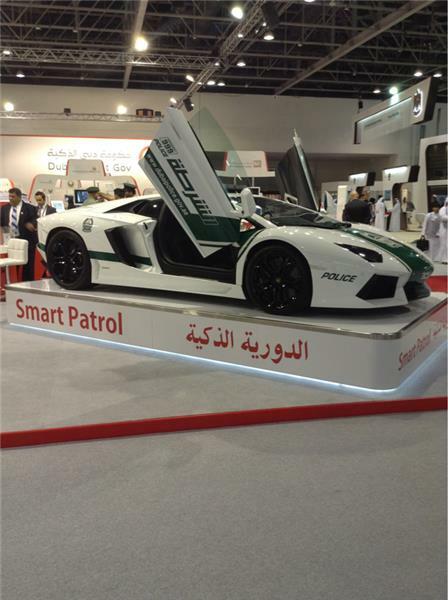 The Dubai Customs has launched a smart marketing campaign at Gitex 2013 is based on the augmented reality technology. The campaign was launched in conjunction with the department’s success of transforming itself into a 100% “smart government” department. 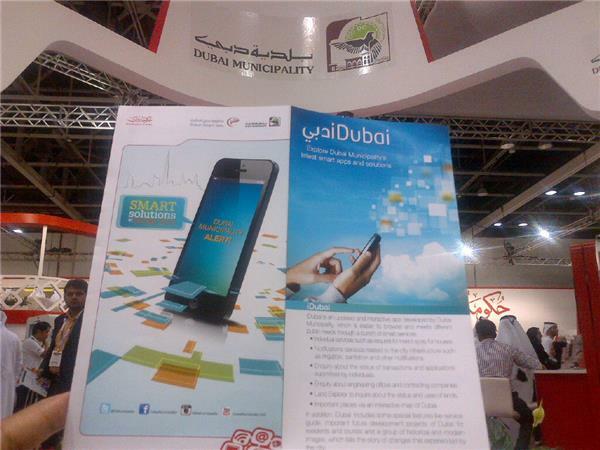 Dubai's Department of Tourism & Commerce Marketing (DTCM) is providing services and information through a range of new smartphone applications during the Gitex Technology Week 2013. At the event, DTCM is exhibiting an update on its existing ‘Definitely Dubai’ smartphone app that is designed to help tourists and visitors explore the ever-growing tourism attractions of the emirate. Kyle Hurst, director market development at THURAYA introducing SATSLEEVE which turns your iPhone into a satellite communication device. Watch out in Zabeel Hall!!! Elliott King, managing director of MINTTWIST, presents us their digital marketing services. Must go and check out the tremendous added valued services they are offering in Dubai and Bahrain. Though we've been dealing with it since the beginning, data has become more useful - thanks to the science behind creating a new ROI, Return On Information, where return has grown much recently as 90% of such has been created only in the past 2 years - as shared in one of the sessions today at the Big Data Conference. Most business values behind big data embrace accessing information that we never could before, analyzing data in new ways, besides doing it faster and cheaper. Where biggest opportunities mostly cover marketing and sales growth, operational and financial performance, new products and services innovation, risk and fraud reduction, beside data monetization. Rankings of technologies that are on top of CIOs priorities in Gulf Region, for 2013 have shown that Analytics and Business Intelligence are on top, followed by Visualization, and ERP Applications. Though Big Data project stages have shown that 31% are still planning, 44% are under POCs, and only 25% are under implementation. Business improvements behind big data management and intelligent information processing are being faced with technical challenges as software maturity, security, the combination of structured and unstructured data, massive enterprise data warehouse issues, beside traditional architecture/technology limitation to scale. As well as business processes challenges while transforming more into a big data friendly one that is more opportunity oriented, immediate reuse facilitated, bottoms-up experiment, iterative and explanatory analysis compatible. Besides, skills deficiency challenges on both ways. All comes to a tactical adoption for business and technology, finding a common ground and processes, for tech, business, or even a mix to lead, maybe a chief data officer, as an emerging role. A good example is that if you get a Formula 1 car without having the right drivers, you might be able to ride it but you won’t win! Technology & business should both meet to win Big Data! Especially that beta data will for sure result in beta decisions! When 45 out of 50 of the e-mails you receive in a day end with the phrase ‘….at GITEX 2013’, you know it’s that time of the year. This is the time when the region is enthralled with all that technology has to offer. This is time when technology experts from all across the world converge for one common cause – technological advancement for the betterment of business. Telecommunication experts at GSMA Mobile 360 series conference agree that future of communication is depends on the capabilities drives from mobile broadband spectrum. Keynote speakers discussed the importance of coordination between operators and defines that how to utilize the mobile broadband spectrum i.e. LTE, LTE (Advance) and LTE (Beyond). Small and Medium Enterprises dealing with Information Technology accessories in Nigeria are beginning to rip the “goodies” packaged within Flash2Follow solution – a platform designed to assist entities boost business performance through market research, web campaigns, brand awareness and conducting polls among others. Experts at GITEX Technology Week’s first ever Big Data Conference agree that the ability to intelligently understand and utilise Big Data will have a profound impact on innovation and competitiveness in the region. The packed conference, supported by Diamond Sponsor Accenture, offered valuable insights on how Big Data increasingly becomes an unavoidable and compelling item at the top of the boardroom agenda. 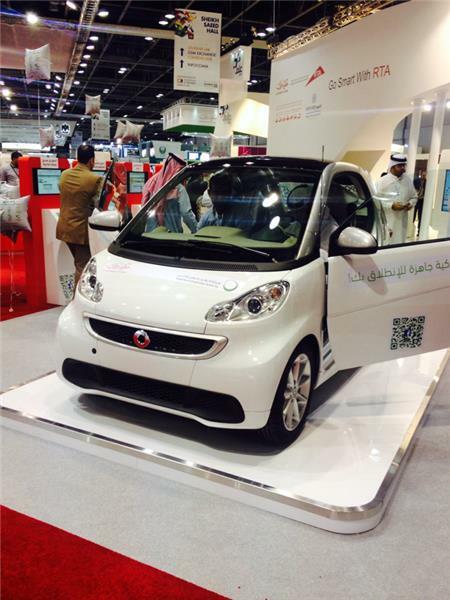 The 33rd edition of GITEX Technology Week 2013, running under the theme “Lets Create, Disrupt and Re-imagine Together”, runs until October 24 at Dubai World Trade Centre. processes and Information Technology and to identify, as well as nurture, the right talent. “The first industrial revolution was based on iron, coal and steel. The industrial revolution of the 21st century will be based on data.Using data innovatively, thoroughly and rigorously can drive growth in significant way, enabling businesses to focus on what the customers want and personalise services. It is can also have an enormous impact in fields like life sciences. The scope here is absolutely enormous, but it needs to be done responsibly,” he said. Additional Big Data Conference speakers included Massimo Cannizo, Technology Consulting Lead, Accenture Middle East; Allen Mitchell, Regional Pre-Sales Manager, Commvault MEA; Regina Casonato, Managing VP, Gartner; Dr. Mustafa Qurban, Assistant Military Hospitals Director in Eastern Province for ICT and Consultant and Director IT at KFMMC; Zubair Ahmed, Head of IT & Business Innovation, Emirates Islamic Bank; Fadi Hindi, Vice President & Head of the Transformation Architecture Office, National Bank of Abu Dhabi; Abdulla Al Madani, Chief Executive Officer – Corporate Technical Support Services Sector, RTA; and Dr.Tolga Kurt, Istanbul Technical University, PlusOneMinusOne. The Dubai Municipality is showcasing the most advanced technologies and electronic services developed by its various departments and sections at the GITEX Technology Week. The Director General of Dubai Municipality, Hussain Nasser Lootah, said that the civic body is highlighting its latest developments in smart solutions and e-services in addition to a number of new projects. The participation is aimed at enhancing the prestige of the municipality at local, regional and global levels, exchanging experiences with relevant parties in this global event which is expected to attract a large number of visitors. 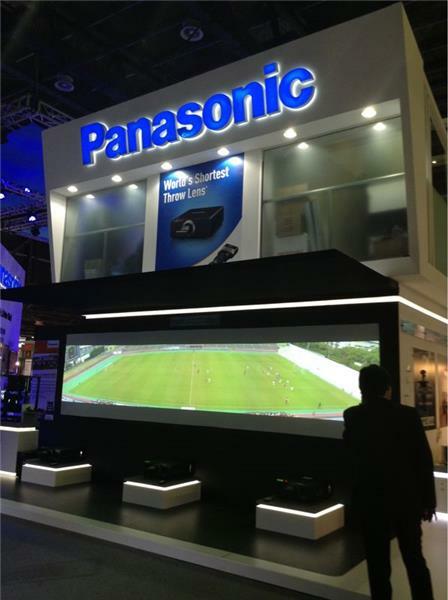 Panasonic showcases world's shortest throw lens DLP projector at Gitex. Dell’s Poweredge Vrtx, the future data centre: At first glance, anybody can take it for a slightly larger desktop. 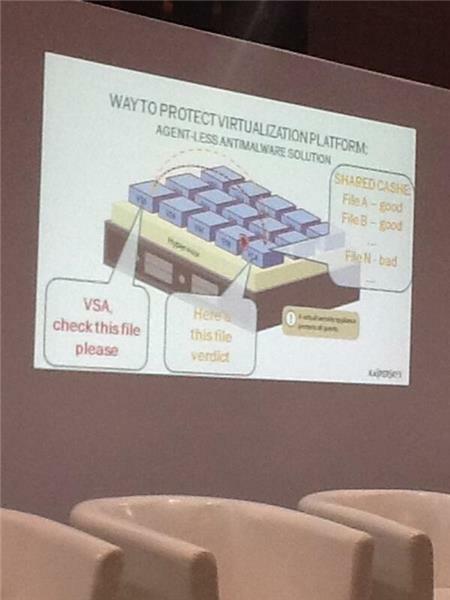 But Dell's new product, Poweredge Vrtx, is a lot more. A combination of servers, storage and networking, this data centre launched in the Middle East one month back is the crowdpuller at the Dell's stall at Gitex. Basil Ayass, Dell's marketing director, Middle East, says Vrtx is here to replace conventional data centres with a lot of cables and connections. Dell is also about to bring to the UAE 10.8" and 8" windows tablets with Windows Pro, targeting corporate customers. Basil calls them business tabs which have special security systems to protect data. The company has also entered into the Android world with a new array of tabs. Announced one week back, the tabs are expected to hit UAE markets within a month. 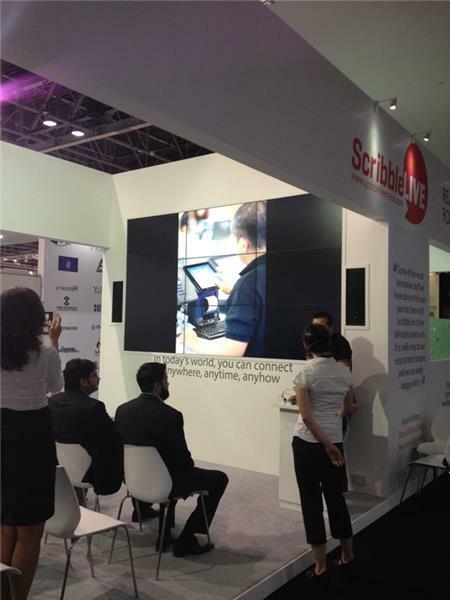 Quote of the day: GITEX is an amazing place to meet most of our customers and prospects in a very short period of time. It is also an opportunity for us to showcase technologies supported by our partners. 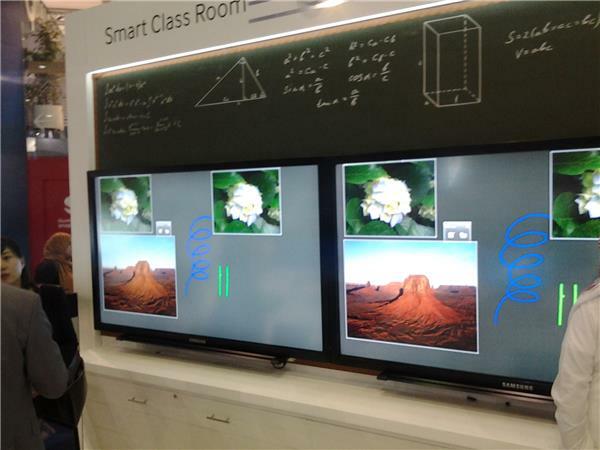 Samsung's Smart Classrooms, which is installed already in 123 schools across the UAE, is planning to grow further with more add-ons. Under a government initiative, 441 Smart Classrooms have been introduced in six emirates, serving about 12,000 students. The Smart Classroom makes a conventional classroom with black or white boards obsolete and replaces them with an e-board. The teacher can have interactive sessions with students with laptops, tablets or smartphones and can even control the devices of students. Prasad from Samsung says Gitex visitors are showing interest in the product, which was launched last month and a pilot programme started in April. Smart Classrooms is looking for smarter developments and the company hopes to spread it to more schools in the UAE. 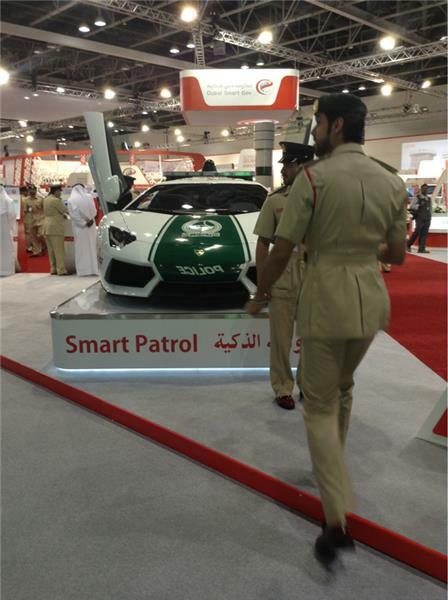 Abu Dhabi Police training dogs at Gitex 2013. It is fun. 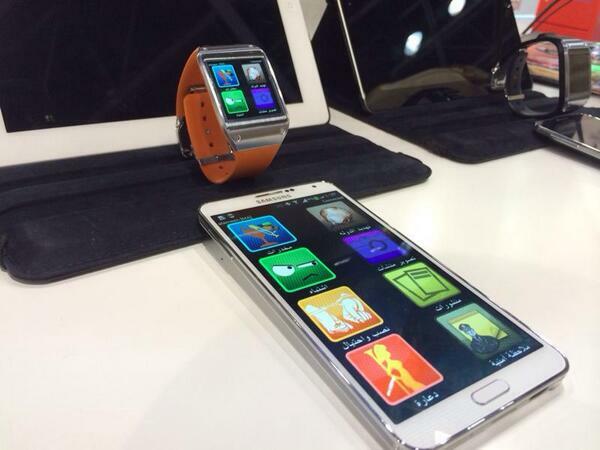 It's called the technology of tomorrow and it is right here at GITEX 2013. 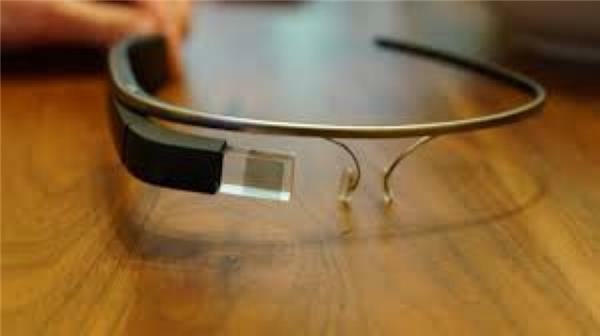 We tried the ultra futuristic Google Glasses and found it amazingly cool, unobtrusive and smart. The Dubai Municipality on Sunday launched a sandstorm forecasting system which will soon be available on a new mobile app. The forecasting system for dust and sandstorm was launched at the Dubai Municipality’s stand at the Gitex Technology Week at the Dubai World Trade Centre. The system is based on the state-of-the-art 3D weather prediction model which the Municipality has been running for several years. It is now integrated with the model for sand source areas, transport by wind and settling. The dust storm system will also present real-time satellite images because they can display oncoming dust storm quite accurately. It will be an extension to the existing Fog Monitoring and Forecasting System which was launched by the Dubai Municipality in 2010. 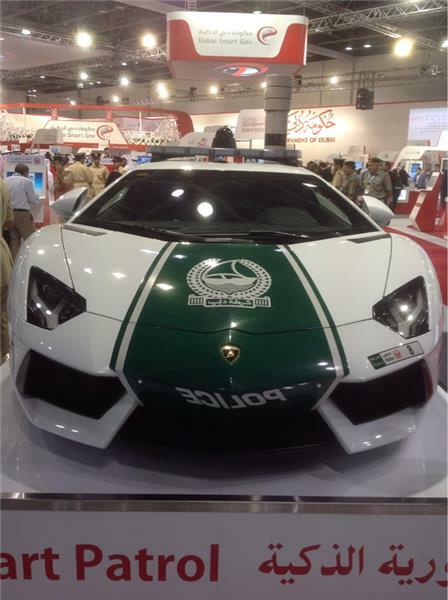 The Dubai Police Lamborghini is grabbing eyeballs at the GITEX Technology Week. 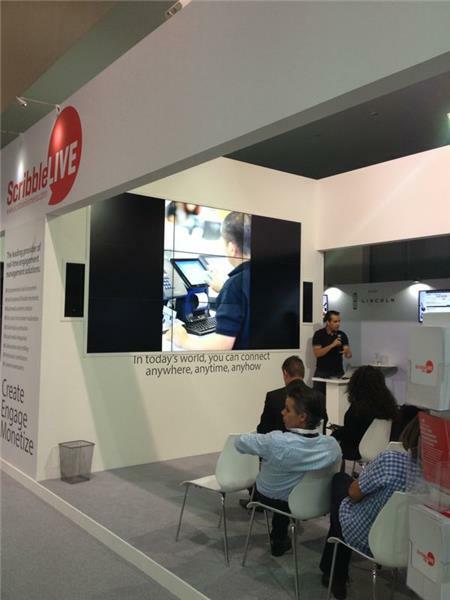 Discussion at ScribbleLive theatre at Gitex. Samsung Gulf Electronics Co, Ltd., a global leader in digital media and digital convergence technologies, announced the launch of the world’s largest display unit for luxury retail outlets and corporate venues at GITEX Technology Week in Dubai. The 95-inch Large Format Display (LFD) (Model #ME95), which is available for the first time in the region, offers LED Backlit technology (, crystal clear picture quality and superior reliability. Dubai Police organize IQ and observation competition for smart applications.Winners will be offered prizes at the end of each day at #GITEX . 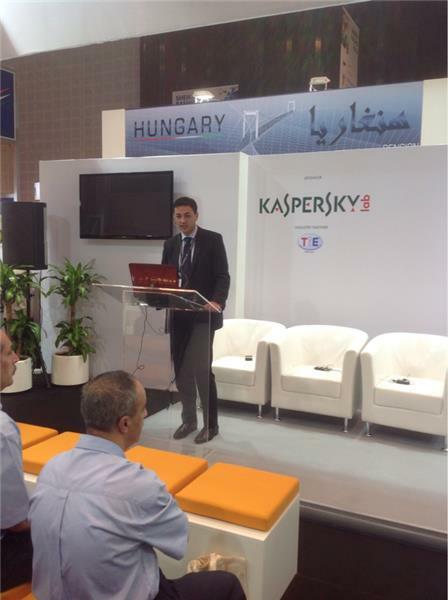 Božidar Laganin, Director, Serbia Investment and Export Promotion Agency, speaks at the Gitex Master Session. Dubai Customs is presenting its transformation into the first 100 per cent smart department, at Gitex 2013, after launching a package of smart services early in October. 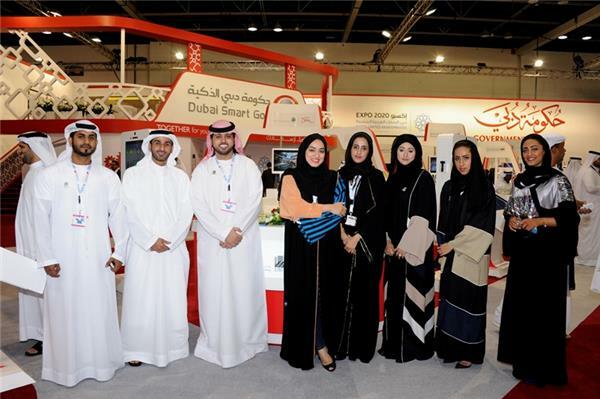 Using smart display technologies, visitors at Gitex are introduced to the achievements of Dubai Customs, and a separate pavilion in a special location is set up for Dubai Customs to display the smart government services via these technologies.